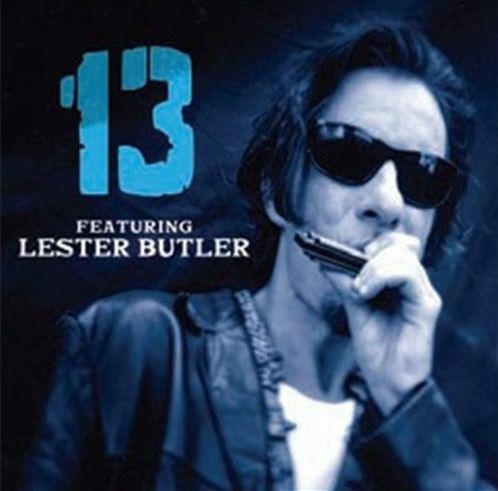 Posted in 13 with tags 13, 13 featuring lester butler, alex schultz, eddie clark, james austin, lester butler, mike hightower on April 3, 2011 by J.J.
“13 featuring Lester Butler” is available again. The reissue, out March 22 on RockBeat Records, features new art, new liner notes and three bonus tracks previously available only on bootleg. BONUS TRACKS: The three “new” live cuts will be of most interest to Butler fans — though they’ve been in circulation for years. The liner notes wrongly (and incompletely) claim the songs are from the “Tamines Festival, France, 1997.” In fact, “I Wish You Would,” “Boogie Disease” and “So Mean to Me” were actually recorded Aug. 29, 1997, at the 7th South Blues Festival in Tamines, Sambreville, Belgium. The bonus cuts show the “other” 13 — the live unit of Alex Schultz, Eddie Clark and Mike Hightower that took Europe by storm in 1997-98 with its wild, expansive blues explorations. Amazingly, the three bonus tracks clock in at more than six minutes each, making them the three longest cuts on the reissue by far. The 19 additional minutes are literally half the length of the lean, mean original album. Posted in 13 with tags 13, 13 featuring lester butler, blues, lester butler, Rockbeat Records, tamines festival on February 22, 2011 by J.J. The “13 featuring Lester Butler” reissue will include three live bonus cuts from the Tamines Festival in 1997. There are very few white blues bands that have been able to take the blues to a new level without compromising the integrity of the sound. Lester Butler seemed to understand the blues structure and he performed with an attitude and an edge that stands him apart from his contemporaries. 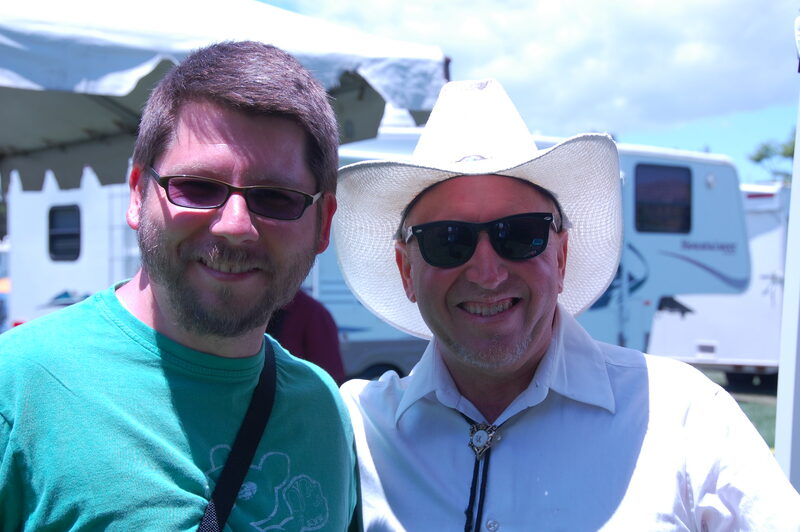 He was able to shape his sound by bringing the blues harp more upfront and not take a back seat to the lead guitar. His playing reflects the passion and love for the blues that remain long after his active career. Butler worked with some great musicians, including Bill Bateman, Paul “the kid” Size, Jonny Ray and Dave Lee Bartel during his stint with The Red Devils. In both bands, Lester was clearly the star, but he always had topnotch support with musicians that propelled his sound to fever pitch intensity. In America the scene was pretty jaded, but it was in Europe where Lester really gained popularity playing at festivals such as Tamines in France. He passed away tragically in May 1998. 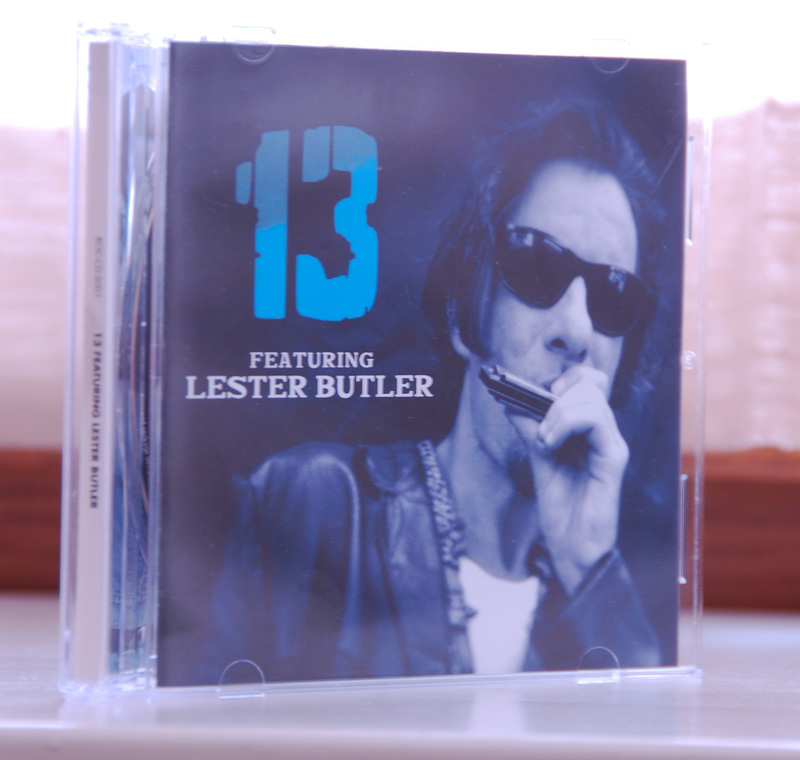 Posted in 13 with tags 13, 13 featuring lester butler, Big Sandy and His Fly-Rite Boys, hightone, Rockbeat Records on February 19, 2011 by J.J.
Long out of print, “13 featuring Lester Butler” appears to be headed back to stores. Copies of the 1997 album, first issued on the now-defunct HighTone label, are scarce, and often sell for nearly $100 on eBay. Now, almost exactly 14 years after its debut, “13” looks like it’s being reissued through Rockbeat Records.